Fee to list on website 5% of sale value, paid in advance to the Guild treasurer (details via Guild secretary click HERE) e.g. £100 item, £5 to pay. Item will be listed for 2 months. Item also listed on monthly email round up and a postcard on the noticeboard at meetings. ​ (NB a postcard on the noticeboard at meetings only; no charge). This wheel is in excellent condition. 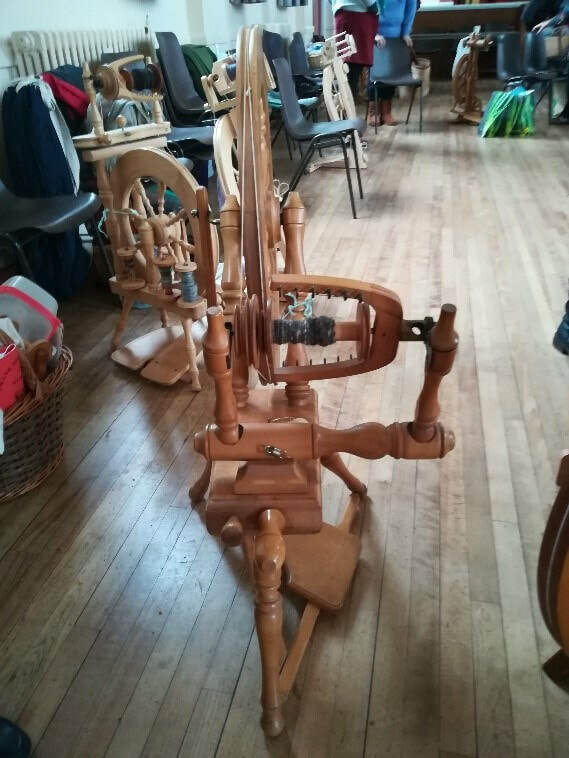 It comes with 4 bobbins, a Lazy Kate and a pair of hand carders. Pictures below.